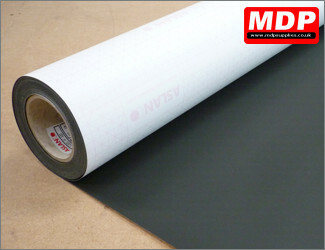 Magnetic sheeting attracts to metal whilst Ferro Film allows you to create a magnet receptive surface. Vehicle grade .85 mil thick magnetic sheeting for vehicle door panels. Gloss white finish. 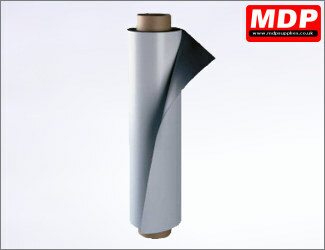 Suitable for vinyl graphics, screen printing and digital solvent printing. Price per metre for 610mm / 24 inch wide. Black self adhesive ferro film. Turn any surface into a magnetic memo board. Film can be overlaminated with coloured vinyl to give a unique look or make a magnetic blackboard by overlaminating blackboard film. Price per metre for 1010mm / 39.5in wide.